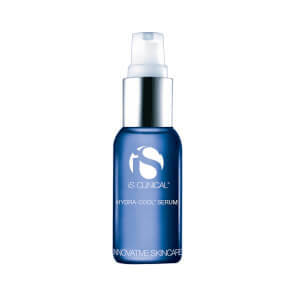 iS Clinical Pro-Heal Serum Advance is an enhanced form of the Pro-Heal Serum that gives your skin eight times more antioxidant protection than the original formula through the use of vitamins A, C and E, combined with olive leaf extract. Alleviate redness, dryness, pain and irritation as you heal the damage on your skin. Ideal for those with rosacea, acne, eczema, sun damage and insect bites. Apply to the entire face and neck or as a spot treatment morning and/or night. 15% Vitamin C (L-Ascorbic Acid) lightens, brightens, tones, and tighten the skin without irritation. Olive Leaf Extract soothes and calms skin irritations while fighting off free radicals. Vitamin E helps to heal and repair damaged tissue. Water, Ascorbic Acid, Laureth-4, Alcohol Denat., Pentylene Glycol, Propylene Glycol, Olea Europea (Olive) Leaf Extract, Zinc Sulfate, Tocopherol, Polyporus Umbellatus (Mushroom) Extract, Arbutin, Glycerin, Bioflavanoids, Retinol, Polysorbate 20, Phenoxyethanol. Fabulous product, have been using for years. I've been trying a few different VC serums, and I like the IS Clinical one, it's really stable and effective. I cannot find another line that delivers the same results. I use many products from iS Clinical & Pro-Heal is a favorite! It keeps my complexion redness under control & I believe it delivers great anti-aging benefits! I use this product every morning. Leaves zero residue on the face. It goes deep into the skin, which is what you want. Love, love, love. Really helpful for painful, inflamed cystic acne. This serum does it all but gently. Worth the investment. I have purchased it several times. Only used it for a week So far so good! I have purchased this serum countless times. Whenever I run out, I notice the difference. Best on the market! Really helps with skin recovery and scarring.